But let’s not be cynical shall we? So I came up with 5 ideas to help us all celebrate our mothers not just on Mother’s Day but any day! Some are budget friendly others are less so but I’ve done them all more or less for my mum at one time or another. Can you cook? If you can, why not give Mum a rest and cook her dinner instead? Even if you can’t, you can takeaway food from your favourite restaurant and have it in the comfort of your own home on a nice dining service without having to join in the human crush at restaurants. If you are a mother yourself with young kids you might appreciate this too. I might do some cooking – I’m getting rusty. Last year my sister and I took Mum out for the day. Just us 3 – no guys included. We went shopping, we had a lovely Japanese lunch, we chatted and we had coffee. It was fun! I don’t know about you but I don’t think my mum gets enough pampering. I sent her for a facial at my regular salon a couple of years back and since then she’s been a regular customer. Perhaps I’d spring for a turkish spa experience this time – I just hope she doesn’t get hooked on this one too! Another slightly cheaper form of pampering would be to get a manicure or pedicure done. You could incorporate this into your day out so you all can sit and rest after a long day of walking around! If Mum isn’t into manicures or pedicures, how about a haircut or a wash and blow. Walking out a hair salon always makes any woman feel good! 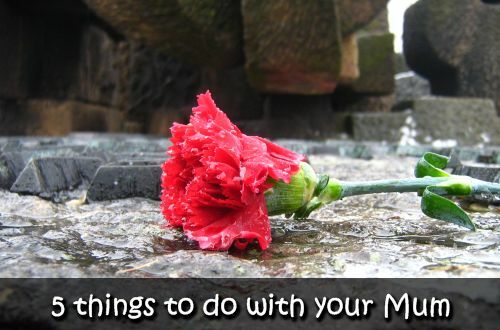 Spending the day with your Mum does not have to mean going out or spending lots of money. You could be at home, lending a hand with the household chores, helping in the kitchen, going out for walks in the park or if you’re in KL, take Mum to the Sentul Park Koi Centre and stop for some Japanese tea. Its relaxing and the fish there are amazingly HUGE. However, if you’d still like to get Mum a present here are some gift ideas (if your mum likes these things). L’Occitane gift sets from RM99 – look out for the Provence Market sets if they still have them. Great deal for Rm159. How do you plan to celebrate your Mother’s Day? Do you have other ways to celebrate that you might like to share? 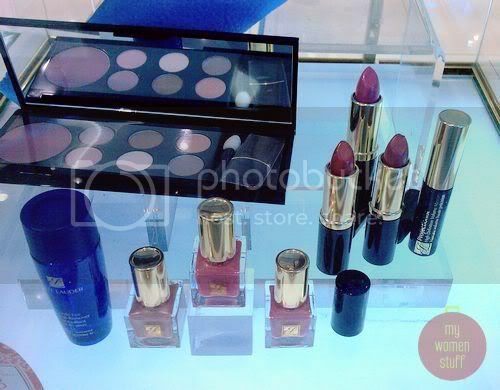 NEXT POST: Is Dior Bronze Harmonie Rose Brazilia all that? I’m sure those lovely genes came from somewhere too! 😉 Enjoy spending time with your mum.